West Windsor, N.J. – Laura Blinderman, Professor of Biology at Mercer County Community College (MCCC), has been named a National Academies Education Fellow in the Sciences for 2015-16 after participating in the National Academies Summer Institute on Undergraduate Education, held June 14-19 at Princeton University. The Institute was an intensive five-day program of seminars, discussions and workshops that brought college and university faculty together to investigate issues in STEM (Science, Technology, Engineering and Mathematics) education. Co-sponsored by the National Academies and the Howard Hughes Medical Institute, the Summer Institute included 46 participants. This year marked the first time that community colleges were included in the group; MCCC was one of two community colleges to participate. Blinderman observes that there is a growing recognition that community colleges need to be part of the STEM dialogue nationally. “Raising awareness of the community college role in STEM education with our colleagues at the four-year institutions is an important piece of advancing these disciplines,” she said, noting that participants included faculty from Princeton, Harvard and other colleges and universities. According to Blinderman, a presentation by Jay Labov, Senior Advisor at the National Research Council, confirmed the importance of community colleges in the transformation of and increased emphasis on STEM education. Blinderman notes that one of the assignments during the weeklong program was to work in groups to develop teaching units to serve as models for educators nationwide. “We worked in teams to develop teachable ‘tidbits’ – short, interactive, inclusive strategies to engage students both intellectually and physically in the learning process,” she said. Blinderman explains that the emphasis with these learning modules is to employ active strategies that teach fundamental concepts, demystify misconceptions, and help STEM students discover that science is an engaging, rewarding, and creative process. Blinderman and her colleagues in the Evolution and Heredity work group developed an active learning exercise to underscore the relationship between infant nurturing, epigenetic modification of the glucocorticoid receptor gene in brain, and adult stress in a rodent model. The module is supported by primary literature sources and the HHMI website Lick Your Rats. Participants also attended seminars on STEM education, engaged in roundtable discussions on teaching philosophy and strategies, and co-led workshop components. All of the Institute's work is available to participants to use in their classrooms and to share with colleagues. “I believe that Mercer’s support of the sciences helps us to be at the forefront of the mission to attract and nurture students in STEM fields and to improve scientific literacy for all students enrolled in science courses. That Mercer currently has submitted and/or received funding for a number of STEM grant proposals indicates a commitment to being part of the national dialogue,” Blinderman said, adding that a recent $600,000 grant awarded to MCCC by the National Science Foundation Scholarships in STEM (S-STEM) will provide a substantial boost to STEM-related enrollment. Blinderman attended the Summer Institute with colleague Julie Drawbridge, a Professor of Biology at Rider University. The two will host a meeting at Rider this fall for MCCC and Rider science faculty and staff. 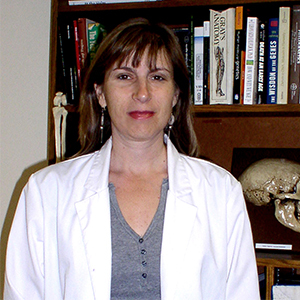 Princeton University Professor of Biology Rebecca Burdine, Coordinator of the Summer Institute, will present. The National Academies Summer Institute on Undergraduate Education is organized by the National Research Council in partnership with the Center for Teaching and Learning at Yale University. Support is provided by the Howard Hughes Medical Institute, the Presidents' Committee of the National Research Council, and Yale University. Professor Blinderman’s participation in the Institute was supported by these entities.